I genuinely believe there is no greater parenting technique than to pray boldly for our kids. For many of us, sending our children back to school can feel like an emotional roller coaster ride. Fears and questions concern us. Will they make friends? What challenges will they face? Who will influence them? Can they keep up academically? If you homeschool, your fears about your kids may be a little different, but are no less valid or worrisome. The reality is that God gave us our kids to steward well. God chose you to raise your kids. I think that’s incredibly generous and really cool of Him. It’s also humbling. That’s why we need God’s help. 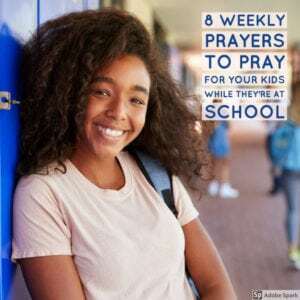 Whether you homeschool or send your kids off to school, here are some prayers you can regularly pray for your kids each day this coming school year. Monday: Father, though grades matter, I pray that you instill in my children a love for learning. Give them wisdom, insight, and understanding above all else. Tuesday: Dear God, surround my children with friends, mentors, and loved ones who champion and affirm their worth, strengths, and gifts. Place people in their lives who love them dearly for who they are. Wednesday: Father, help my children to be honest, hard working, rested, patient, faithful, empathetic, and kind. (Insert your own values into these prayers for your kids. 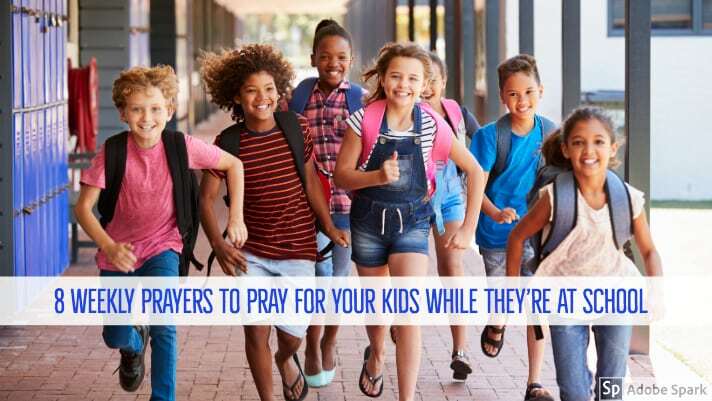 You can pray a different value for your kids each week as well). Thursday: Dear Lord, instill in my children the courage to do the right thing, even in the face of being unpopular or being picked on for it. Give my children the call and resolve to be kind and strong, and to walk confidently in Your love for them. Friday: Father, your eyes are looking throughout the earth for a heart that is completely yours. I pray for these hearts for my children. Woo them to be undeniably in love with you. A prayer for character: Dear God, develop my children’s inward character. Help me to show my kids, by how I live and teach, that I value it more than outward success or the accolades of others. A prayer of lovingkindness: Father, whether it’s a word of affirmation, helping with a task, standing up for someone, or giving a gift, help my child to show someone they’re valuable today. A prayer for good belly laughs: Dear Lord, I pray for a belly laugh today for my children. Teach them the value of having fun and laughing hard. And, Lord, do the same for me. Tell us, what prayers do you regularly pray for your children? Joshua Straub has two cherished roles—as husband to wife, Christi, and dad Landon and Kennedy. He serves as Marriage and Family Strategist for LifeWay Christian Resources and leads Famous at Home, a company equipping leaders, organizations, military families, and churches in emotional intelligence and family wellness. This article appears in the September 2018 issue of ParentLife. Looking for a fun summer diversion? How about one of these giant games for the backyard? Take your favorite board and computer games up a notch by creating jumbo versions you can play outside. 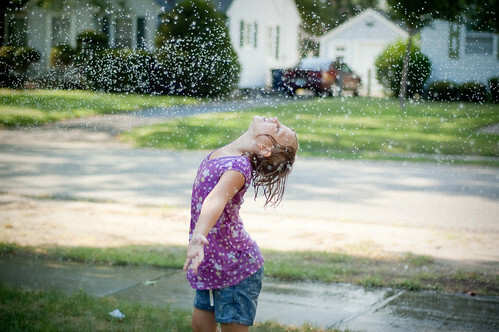 And if you can figure out how to incorporate the hose and some water fun, all the better! You can purchase this Giant Chess Set for about $60 for some big-time backyard fun! What backyard games do you play during the summer? Summer–we all love it and we all need a little time off. But your child can fall as many as four months behind in their learning during the short break of summer if we aren’t continuing to focus on learning. I affectionately call that the “summer rust.” So, how do you keep the rust from settling? There are plenty of great workbooks out there and even some great websites, but there are also some sneaky ways to add in some learning with things you are probably already doing. Let’s focus on literacy first. 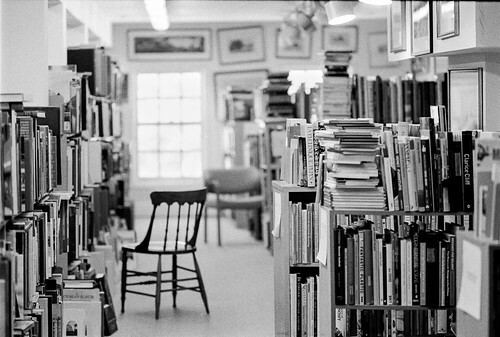 If you read your child will be more likely to read. If your child is a hesitant or reluctant reader, read aloud to them or listen to audio books together, especially on those long road trips. When you are listening or reading be sure to ask your child questions about what they are reading or listening to such as, “What is happening in the story? Who are the main characters? What was your favorite part and why?” Encourage your kids to write about trips you have taken together in a journal or draw a picture and write a story to go along with it. Another idea we enjoy is to keep a correspondence journal where you write to your child and they write back to you. Now for math! Have your children tell you what time it is on an analog clock. Allow the kids to help you cook, measuring the ingredients and noticing which amount is more. Identify, count, or sort coins after receiving change. Go on a shape hunt around your house or neighborhood. Lastly, play games! Games that involve numbers, dice, patterns, addition or problem solving will help your child keep those math skills sharp. In addition to literacy and math I am hopeful you will explore with your children, take a hike, try something new, and genuinely enjoy one another’s company. Stephanie Ingerman is an elementary-school teacher in Chattanooga, Tennessee, and a mom to two kids, ages 7 and 9. Your Teenager Is Not Crazy by Dr. Jeremy Clark and Jerusha Clark – Although sometimes parents find their teens unrecognizable at best, they still are the same kid deep down. In this book, the Clarks guide parents to make the teen years a time of creativity and passion instead of fear and conflict. Release April 1, 2016. Transforming Children into Spiritual Champions by George Barna – Famed researcher Barna speaks to churches in this work on why children’s ministry should be of the utmost importance to the church. The author explains how to make a successful children’s ministry that forms “spiritual champions.” Released January 1, 2016. In the Arena by David Prince – Coming September 1st, this paperback will explore what sports means in Christian culture and how sports can be used for discipleship, parenting, and recreation. In this month’s print issue of ParentLife, writer Emily Pardy urges us to grasp on to “Summer Sanity” by making a list of priorities and plans for the summer. Have you been doing that? I’ve been thinking a lot about how summer will go around our house. In the fall, my three children will be in second grade, kindergarten, and 3-year-old preschool. I am pregnant, so this will be the last summer for awhile we can take advantage of having all children who know how to hold hands in a parking lot and I’m not too worried about killing each other if we send them outside for half an hour. But because I am pregnant, this also may be a summer where I need more rest than usual. We may or may not be moving apartments. We have a lot of “ifs” up in the air. So we haven’t really made any firm plans – camps, many trips, etc. Usually we schedule our older two for at least one week of day camp, but we’ve decided to put that on the back burner for now. Take our third annual beach vacation to Tybee Island. We all enjoy this; it’s relaxing, and we have fun. Go swimming. If needed, get swim lessons for my 7-year-old to be fully competent as a swimmer. Send kids to “Nana Camp” and “Grandma Camp.” We are so blessed to have both sets of our parents within driving distance, and they LOVE having the kids come to stay for a couple days during the summer. The kids love getting one-on-one time. We get to spend a little more one-on-one time with the kids left at home, too. It’s nice to mix things up. Help my 7-year-old daughter become proficient in the kitchen – and get my 5-year-old son started, too. They both love cooking and have been inspired by MasterChef, Jr. I can be a little too territorial about my kitchen space, but I want all my kids to learn to cook. Spend time with great friends. I also intend to let the kids make a little bucket list of things they want to do or places to go. I won’t promise to do everything, but I want to let them play a role there. Have you started planning for summer? As Pardy writes, summer can be the right time for “structure, sunshine, skill-building, and sleep.” Sleep. There is a summer plan I can get behind! I can read Bible stories to my kids all day long, but Scripture memorization is an area where I can falter. They often learn verses at church, but with three kids running around sometimes I just get lazy. That said, I think learning Scripture is an important part of growing in faith, no matter your age. Here are some suggestions for age-appropriate verses to learn about Easter. Any other verses that are a good fit for Easter? Parenting isn’t about feeling good all the time. Make it that, and you’ll have kids who run the house and don’t understand the word no. Some of my best parenting moments are when I feel the worse, I think. Holding a screaming, flailing 5-year-old who is throwing a temper tantrum – when really I just want to shut her in her room and go eat chocolate cake. Taking a deep breath and explaining to my 3-year-old onemoretime that “I need” is not the way we start sentences to ask for things. Not biting back when my 17-month-old decides to gnaw at my shoulder. Often parenting is going against my human nature and trying to latch on to my Jesus-nature instead, asking for His power to flood me. Because seriously, there is no way I can do this on my own. 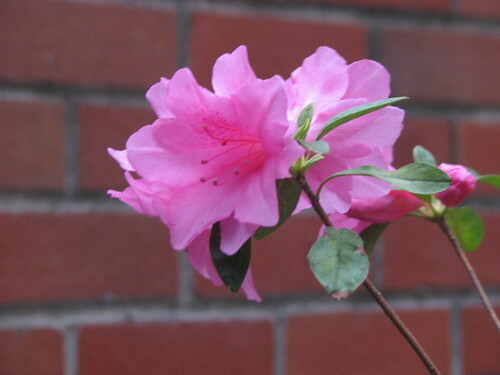 How many times as a parent do you feel mournful? Poor in spirit? Persecuted, even, by your children or other parents? Jesus blesses that. Until we see Christ, no one on earth is going to love us with the uninhibited crazy love of a toddler or preschooler. So let’s pour back that love, praying for the Spirit to fill us with mercy, purity of heart, gentleness, and peace, not giving up when we are mournful or feel persecuted or want to hide in our rooms and throw stuff at the wall. P. Bear’s New Year’s Party by Paul Owen Lewis is lauded by elementary school teachers as one of the best educational resources for teaching kids how to count and tell time. Available as a hardcover, a board book, and in paperback, this 32-page book can grow with your child. It’s perfect for a large age range, but tailored to 3-7 year olds. The elegant illustrations rely solely on black, white, and red for a vivid, timeless visual portrayal of the fictional tale that finds a dashing polar bear hosting a black-tie affair for New Year’s Eve. With every strike of the clock leading up to midnight, a large number of animals corresponding to the clock face shown on each page arrive at Mr. P. Bear’s door. The author does several things exceptionally well with this book. First, he spells out the numbers, so kids learn to recognize them outside of numerals. Next, he introduces young readers to exotic animals. (Orcas, pandas, and penguins are among the unusual animals invited to this polar bear’s party!) Third, every group of animals corresponds to the number on the clock face, helping kids make a connection between counting and time. Last, the strategic use of only three colors throughout the book brilliantly brings the pages acutely to life, with the color red highlighting the most important nuances. In addition, P. Bear’s New Year’s Party also expands children’s vocabulary, introducing new collective nouns like flock, herd, bunch, and pack. The book also provides an opportunity for parents to share New Year’s traditions and explain the significance of a year’s time. From newborn to first grade, this book is one that can be pulled out repeatedly. With every read, your child will discover something new. This week we had two “snow” days here in Chattanooga. We didn’t see any snowflakes, but it did get cold enough to ice over the roads and thus it’s probably best everyone was able to stay home. The first day, my husband was home, and we just dawdled around. We played games, let the kids play with toys, watched TV. But by the end of the day my 7-year-old daughter was going crazy. She is not a very good homebody. I decided if we were going to survive day 2, we had to have a plan – especially since Daddy had to work (he teaches private school). The kids and I came up with this big list of activities for us to do. No saying, “I’m bored!” They could just go to the list and pick a new activity! They loved this idea, and I think it’s something we’ll pull out for many at-home days. My kids are 7, 5, and 2, so these are more suited for younger kids, but you can brainstorm with your own children and see what you can come up with. Obviously, you won’t have all the same toys we have. I chose toys and games for our list that had been put away for awhile, so they were more exciting for the kids. But I hope this will give you some ideas for your next at-home snow (or no snow) day. Looking for a new book to engage your young readers and help them grow in faith? Check out one of these three brand-new releases! Voyage to the Star Kingdom by Anne Riley and Amy Grimes – A parable of sorts, introducing children to Heaven and the fact that life doesn’t end after death. The “Star King” does thing His own way, and the people in this story must learn to trust Him. This self-published book was released January 8 and appeals to children of all ages, as well as their parents! 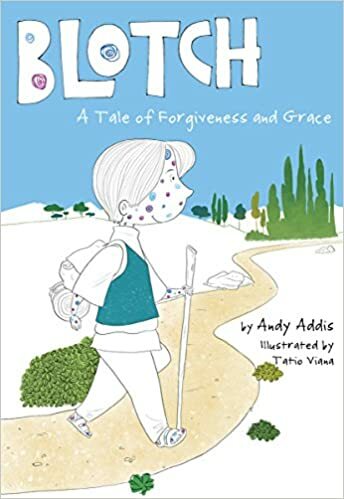 Blotch by Andy Addis – Another parable, this time about sin and how Jesus takes it away. Blotch lives in a kingdom where everyone has spots on their skin from times they have done wrong. Blotch decides to find someone who can get rid of the spots, and sets out on a journey. For ages 8-12. 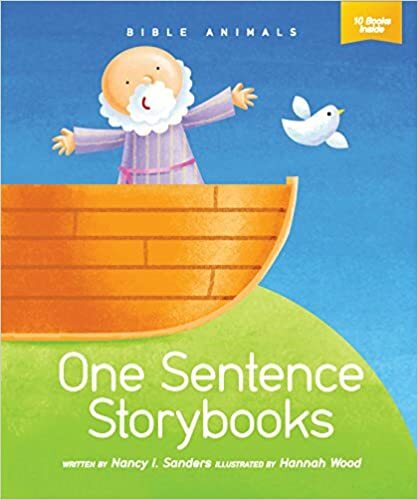 One-Sentence Storybooks: Bible Animals by Nancy I. Sanders – Help your 3- to 5-year old learn how to read with these one-sentence storybooks. This 10-minibook set focuses on Bible animals. Using repetition and illustrations, children will learn new vocabulary and sight words. Each story has a devotion, prayer, and reading activity as well. Released December 24, 2015, from Tyndale House.